← We bought a steer! 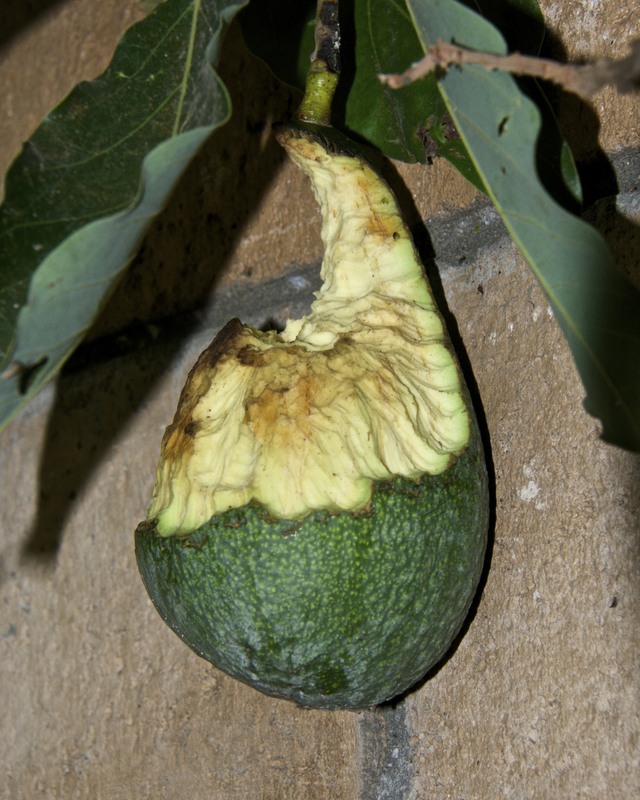 Posted on January 28, 2015	by Lou Murray, Ph.D.
Critters are getting a lot of my produce, like this once-lovely avocado. I think I will declare my 2014 urban garden in southern California a federal disaster area. I am going to attribute my low harvests last year to drought, climate change, critters, and being sick a lot of the year (colds, flu, minor infections). It all took away from the garden. You cannot reap what you do not sow. And if I did sow something, it seemed like the critters got it. Bird, squirrels, possums, rats–they all enjoyed my garden more than I did. It is January and only one of my chickens is laying. The other four girls are “off-line,” enjoying the very liberal vacation and retirement package that we offer them. 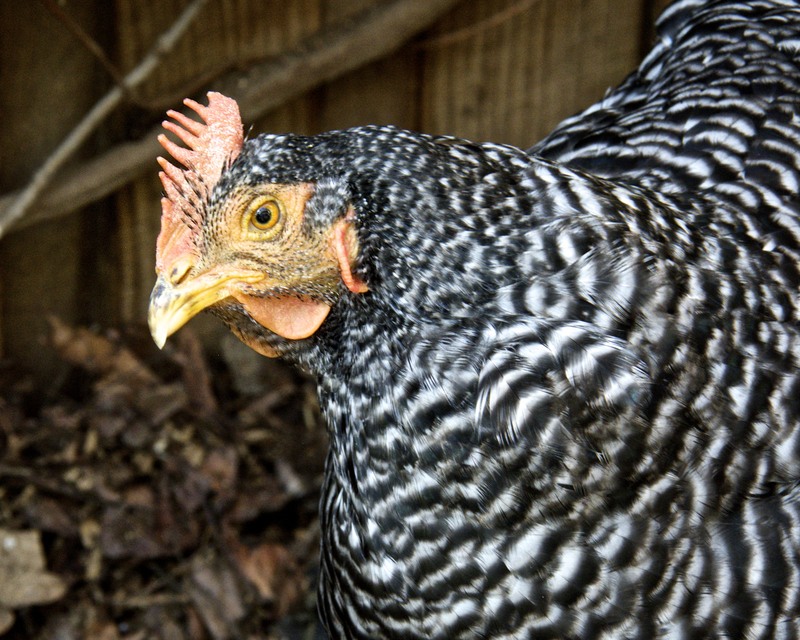 See the comb on this hen? It is pale and shrunken in comparison to that of the one laying hen. A couple of the girls are starting to get red, swollen combs, so they should begin laying soon. I hope. Let’s get right to the bad news. Fruit harvest was 86 lbs. Vegetable harvest was a pathetic 81 lbs. That makes the total produce harvest 167 lbs. PATHETIC! But egg production was 530 eggs last year, which is not bad. We gave away eggs in the spring, but had to actually BUY eggs this winter, four dozen. Lazy hens. Now before you Midwesterners and New Englanders laugh your heads off, I should point out that my urban farm sits on a mere 4500 square feet of land, and our 1700 sq ft house, 3-car garage, driveway, sidewalks, deck area, and chicken coop occupy most of that space. I have crammed dwarf and semi-dwarf fruit trees around the perimeter, with four main veggie beds and a couple of extra little plots here and there, wherever there is room and a bit of sunshine. I have even grown potatoes in Gro-pots in the driveway, but my husband dismantled them this year due to extreme unsightliness. Citrus makes up a lot of our harvest, but my orange tree hardly bloomed at all last year, giving us very few oranges this year. To sum up, here is an approximation of my 2014 harvest. Now doesn’t that make you feel better about your own gardening efforts? Some of you get more produce than that in one WEEK. But hope springs eternal in the heart of a gardener, and I am already planning and planting my 2015 garden. The radishes and snow peas have sprouted. I have transplants growing of red cabbage, cauliflower, and arugula. 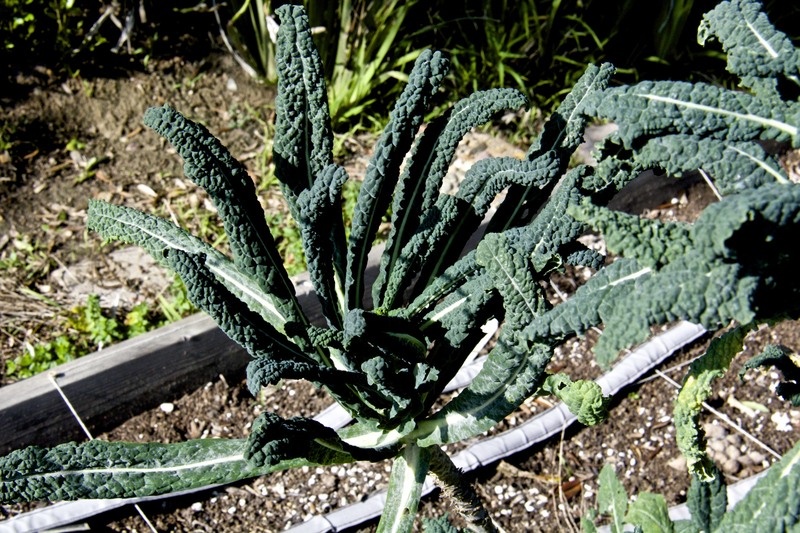 I have kale, collards, artichokes, arugula, green onions, radishes and bell peppers growing as holdovers from 2014. So wish me luck. The year 2015 can’t possibly be as bad as 2014 was. Can it? We always seem to have kale and collards on hand. The critters don’t seem to eat those, just the peas, green beans, tomatoes, etc. 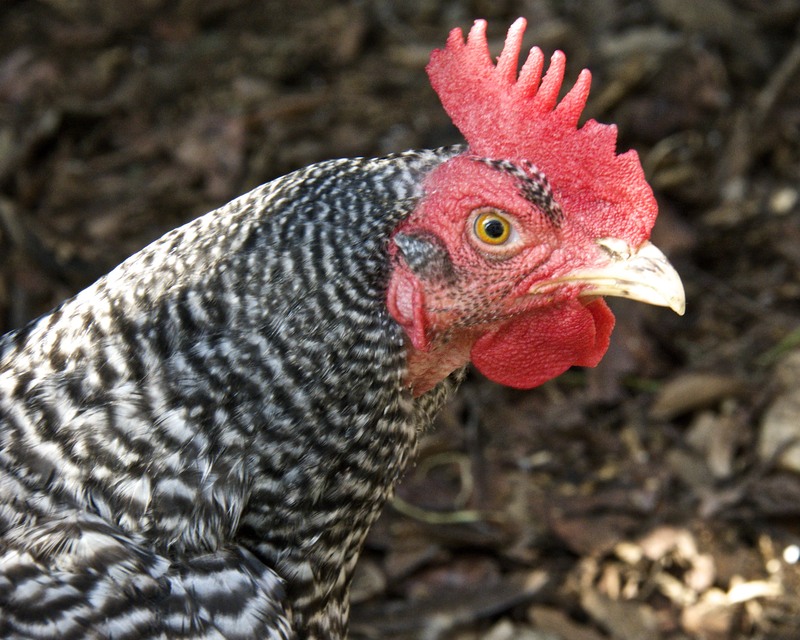 This entry was posted in Uncategorized and tagged backyard chickens, harvest totals. Bookmark the permalink. Ah, yes, that green grass on the other side. I keep envying the big harvests others enjoy, while your New Englanders look in favor on my citrus and avocados.I guess it is human nature to want what we do not have. The pests are certainly a pain here too. I cover so much of the garden at one time or another. I can’t grow any fruit without covering it our the squirrels would get it all. I’m always amazed by how much they can eat. Daphne, I invested in more netting today, enough to cover yet another bed. I am going to fight those darn critters this year. Couple years ago I lost most if not all my Asian pears to critters, last year it was stink bug damage, wonder what will happen this year? New breed of caterpillar that feast on brassicas is showing up in our area am told to spray with Bt, will give it a try, hope it helps. 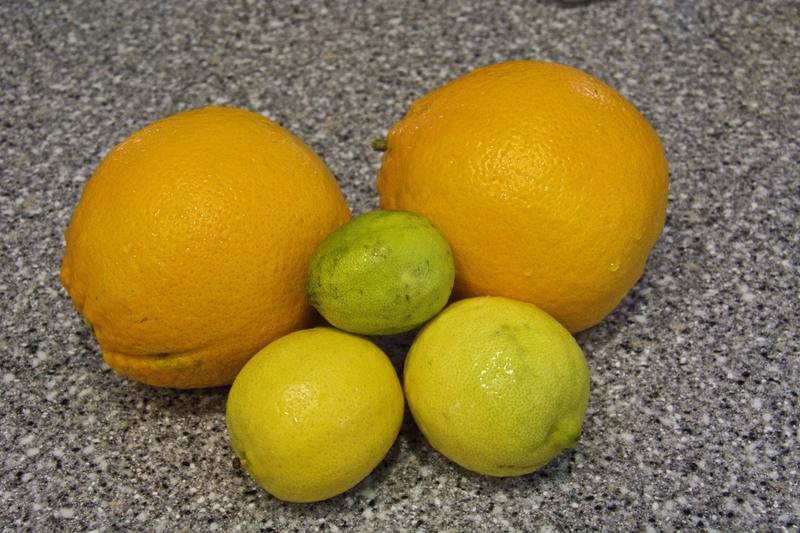 I am so envious of your citrus harvest. How I wish I could grow them in New York. Norma, it seems that each year brings us a new gardening challenge. Begrada bugs, a non-native invader, have become a pest out here. So far the only thing after my Asian pears are the big critters. Gardening is a constant challenge.